It is designed for the ease of use while providing the highest standards of patient safety and treatment hygine. OCM and DIASAFE plus available as standard . BPM and BCM as Optional . This machine is designed to simplify and safeguard all work intensive and manual operation steps in daily routine through fully automated procedures. It offers ONLINE HDF . It offers better elimination of middle molecules, better anemia control, and greater hemodynamic stability. Centralized operations and information via large touch screen. Easy and safe data management. The AutoFlow offers automatic adjustment and optimal adaptation of dialysate flow to the effective blood flow. 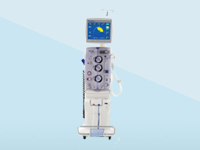 The multifunctional therapy system offers simplistic and easy operation for acute application in renal replacement and plasma therapy. 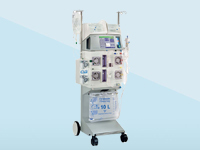 It is optimally designed to carry out highly efficient therapies in nephrological intensive care environment viz CVVH , CVVHDF, SCUF, HP, HV-CVVH, CVVHD, MPS. The special construction of the scales enables the multifiltrate to hold upto 24 liters of hemofiltration solution. This volume of solution allows the system to carry out a safe and smooth renal replacement therapy without the necessity of replacing bags. It is a reverse osmosis water purification system. Its membrane is made of Polyamide thin film composite material, the salt rejection rate is 95% to 98%. The safety features are, minimum reject or concentrate flow alarm, Pre-low raw water tank level, Automatic shutdown during low raw water tank level and at low feed pressure. 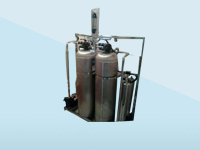 It is a reverse osmosis water treatment system designed to operate in either a direct feed format supplying up to 5 dialysis machines or treated water tank for alternate applications. The complete system is housed within a compact sound proofed frame providing quite operation. 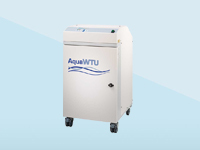 Semi auto volume controlled chemical disinfection provides accuracy, security and safety. The unit is controlled by a micro processor which provides a user friendly interface for both manual and automatic operation. 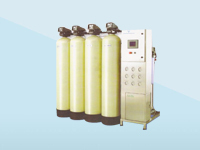 It is a reverse osmosis water purification system. It can be customized as per customers need. 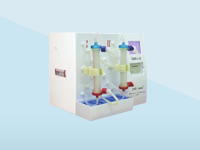 These units are designed to prepare a liquid sodium bicarbonate formulation for the purpose of making dialysate for hemodialysis patient therapies. 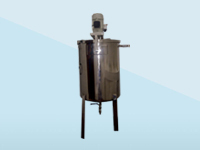 The Stirrer is made of SS304 Stainless Steel with a working capacity of minimum 50 litre or 100 litre working capacity. It can be customized as per the customer needs. 2 nos ball valve at the inlet and outlet of tank. Dialyser Reprocessing system is a device that is used to clean Dialysers instead of discarding it after the end of the treatment. The dialyser is cleaned, disinfected and stored until the next treatment. The chair has impressive, contemporary features and a functional design. The robust, durable construction withstands the daily heavy‐duty stress of clinical practice. 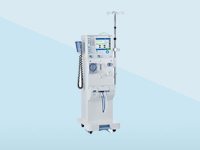 It is created for ambulatory nephrological treatment (haemodialysis, peritoneal dialysis), transfusion medicine (plasmapheresis, blood cell separation), oncology and can be customized as per customers need. 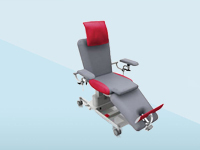 Incline is regulated by three hinged upholstery segments which form a comfortable seat, stretcher or bed. A readily available adjustable pillow provides additional neck support. The adjustment is controlled by either patient or staff with the use of a remote hand switch. 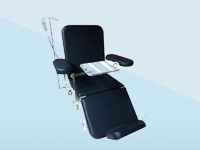 It is Ideal for the daily ambulant care of patients in the fields of dialysis, oncology and transfusion. During the treatment it offers a comfortable sitting or lying position. The base frame of the UniversalLine provides high stability even in horizontal position. The shock position ( Trendelenburg ) can be achieved easily with a both sided foot pedal. It comes with a user friendly remote control to adjust all the desired positions. The chair weighs approximately 85 kgs and has a weight lifting capacity of 180 kgs.